I recently read a children’s book entitled Night Song about a little night mammal sent out into the night by his mother to explore his gift of flight in the night skies. She gave the instruction to the little bat “there are other ways to see and other ways to help you make your way in the world.” He tentatively set out on his solo flight not knowing how he would navigate these unknown energies. Each moment brought new understandings about how he sensed trees, the sky, and the flight of a flock of birds. He grew more excited as the night progressed, his world expanded and he linked into the intuitive nature of his species. His mother knew his ability and trusted his pathway through the night skies. His ‘subtle energies’ treated him to a glorious night of knowing a new way of knowing!! My understanding of subtle energy began in the simple moments of childhood, although I would not have used those words! There was always the appreciation for the deeper meanings of the nuances of many life moments. My connection to music, color, the waves of the ocean, the magic of a sunset while sitting on a life guard stand, holding a little baby, the comfort of prayer, the sacredness of sitting in a church with candlelight and stained glass windows, the special love of a grandparent all held warm messages. There is a mystery and knowingness to those moments. Those subtle moments possess a different kind of energy, a different kind of navigational tools. The dictionary describes the word subtle as: so delicate or precise as to be difficult to analyze or describe; delicately complex and understated; making use of clever and indirect methods to achieve something; arranged in an ingenious and elaborate way. My early precious life moments, like the baby night animal, were delicate, complex, and understated and provided nourishment and growth for the needed intuitive tools for the life journey. We are born with intuitive gifts that help us operate in the gifted realm of being human. It is our intuitive nature that digests an understanding of the sensitive subtle energies embracing our physical presence. Our intuitive gifts light the way to the underlying presence of the whispers of inner guidance and wisdom of these beautiful sacred energies. How does THIS type of subtle energy relate to the mystery of our physical energetic presence? There has been an abundance of research over the centuries, from many different and diverse cultures, about the healing subtle energies both within and surrounding our physical bodies. Somehow these gloriously energies arrange in ‘ingenious and elaborate ways’ to nourish our body, mind, spirit presence in mysterious ways. My intrigue with the study of different healing energy modalities leads me to some fascinating understandings. Almost 25 years ago, I began receiving Reiki healing energy sessions at a retreat center near my home. As the practitioner gently laid hands on my body, I personally experienced a deep calmness and peace, an inner quiet within my spirit. I slowly experienced the sacredness of this modality and the possibilities for healing not only for myself but for others and our planet. The vibration of this healing energy connected me to a greater wholeness within. Reiki is a spiritual healing art with its roots in Japan. Doctor Mikao Usui, born in the mid 1800’s, scholarly educated himself in the art of healing and then initiated a spiritual pilgrimage in pursuit of sacred healing energies. His search lead to the rediscovery of the root system now called Reiki. He dedicated his life to healing the poor in Japan with Reiki and teaching and attuning others to the energy. The word Reiki comes from the Japanese word (Rei) which means ‘Universal Life” and refers to a spiritual consciousness or a higher wisdom. The “Ki” is a Japanese word meaning energy. Reiki is considered the life energy that flows through all living things in a spiritually guided manner. A practitioner is attuned to the energy. And, an attunement is a transfer of Reiki energy from teacher to student. It awakens a high vibration energy in the participant. 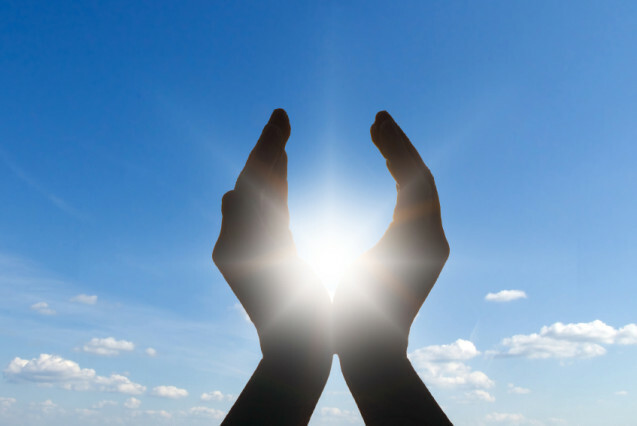 Reiki connects the universal life force energy with the body’s innate (inborn) powers of healing. It is a hands on healing system as well as an energy source that restores balance and promotes healing on all levels; physical, mental, emotional and spiritual. It always brings you your highest good. It channels like prayer. You set the intention and the energy flows to the individual you touch or flows through space and time just as a prayer is guided across the universe. I trust this energy gift. It has been a core energy partner in my life for a very long time. My study of subtle energies continues to build and grow. I learned there are a myriad entry levels to the subtle energies in the universe and the research is magnificent and exciting. A modality I love is Donna Eden’s work with energy medicine. I was drawn to Eden Energy Medicine because of my medical background and Donna Eden’s intriguing understandings of the nine energy systems supporting the physical body. The distinct systems include the meridians, chakras, aura, celtic weave, basic grid, five rhythms, triple warmer, radiant circuits, and the electrics. Within these creative intelligent energies our bodies form unique patterns of energy that relate to our specific health and well-being. Donna Eden combines energetic healing methods from around the world into a meticulously comprehensive set of protocols with these energy systems. Donna was born seeing the subtle energies around our bodies. After two very serious illnesses she ventured into a study of the subtle energies and creatively developed her unique understanding and tool set for energy healing. Today, Donna is a vibrant elder healed long ago of the dis-ease in her body and is now teaching others to heal. These energies are our blessings to discover and then to integrate into our daily living. They are in-born, native to us, our inheritance, a natural intelligence within. Like the little night animal learning to fly the night skies, we also can learn to intuitively flow and fly with the language of these sacred energies and learn how to heal ourselves… and to be healers in our world.